Mercedes-Benz has today announced an all-new nomenclature set to be introduced on its 2015 model year cars. The main hierarchy is based around a ‘core’ model range, which includes the A-Class, B-Class, the C-Class, the E-Class and the S-Class. To supplement these models there will be SUV (or off-roader style) cars called the G-Class, the GLS (replacing the GL-Class), the GLE (replacing ML-Class), the GLC (replacing the GLK we don’t currently get in the UK) and including the GLA we already know about. You’ll also have the option of a Coupe four-door version of some core models. We already know about the CLS, CLS Shooting Brake and CLA models. Finally, roadster cars will come under the SL heading. This means the SL-Class is joined by the SLC, which we have in the past referred to as SLK. The firm is also taking this opportunity to tidy up its naming strategy for engine and powertrain information. Where the current range refers to all sorts of drawn-out nomenclature such as Bluetec, E-Cell and plug-in hybrid, things are set to be radically simplified for 2015. It’ll be as simple as this: if you see a ‘d’ on the boot, the car is a diesel. This replaces CDI and Bluetec badging. Examples are E 350d or GLA 200d. If the car has an ‘h’ on the boot, it’s a hybrid. This could be petrol or diesel combined with electric – the former would be a 400h while the latter would be a 300h. A little ‘e’ means the car is either fully electric or a plug-in hybrid vehicle. Drivers on the continent may also spot ‘c’ (for compressed natural gas) or ‘f’ fuel cell cars, but we’re not expecting those in the UK at this point. In other news, Mercedes-Benz will now introduce a pair of sub-brands with which to differentiate its performance and ultra-prestige cars. The high-performance cars will now be known as Mercedes-AMG models, starting with the Mercedes-AMG GT sports car. At the other end of the scale you’ve got Mercedes-Maybach. This is a resurgence for the Maybach brand, which we saw before as a stand-alone marque offering supreme comfort at a supremely high price. This time it’s a sub-brand, kicking off with a modified S-Class built for those who demand something that little bit more special. Considering the massive success the S-Class has become, selling over 100,000 units, we can definitely see a space in the market for such cars. Now, Mercedes-Maybach will return next week – unveiled in LA and China simultaneously with a highly customisable V12-powered S 600. This represents the very best of what’s on offer from the German brand right now, buyers getting full access to a ‘Personal Liaison Manager’ who can guide you through the design and customisation process. They’ll even be on call at weekends to cater to your every whim. 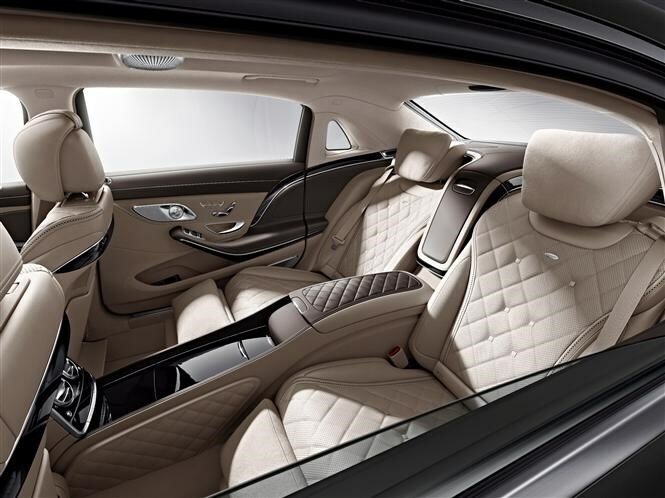 The cars will be built in the same facility as the current S-Class but use longer bodies for more interior space. Pricing is due to be announced on December 18, but don’t expect such a huge gulf between Mercedes-Maybach models and current S-Classes. We’d guess between £10-15,000 as a starter for ten, but you’ll have to wait for the official pricing to be unveiled just before Christmas. We’ve had a sneak-peak, and though our cameras were confiscated, we can report there’s a surprisingly small level of Maybach branding on the car. It’s clear that Mercedes is the dominant force here, this being a special version of the S-Class rather than a new car in its own right. 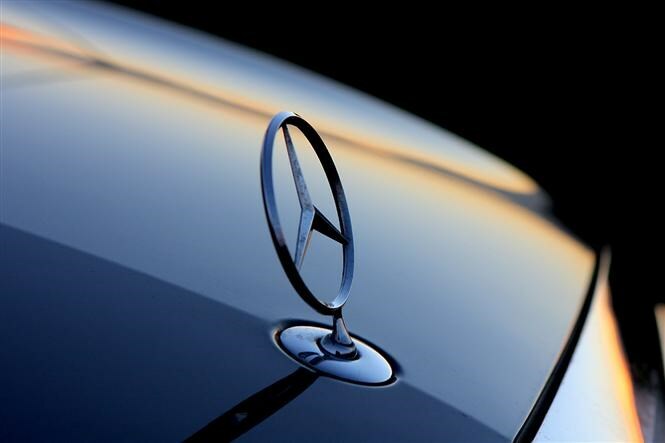 The three-pointed star still adorns the front grille, steering wheel, sills and boot lid. 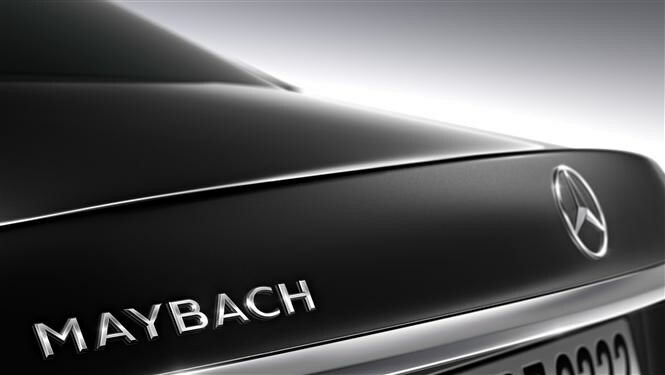 Maybach branding appears on the seating, the bootlid and the C-pillar (behind the rear windows) only, as far as we can see. To find out more about these new models, keep an eye out for the full Parkers reviews as the model ranges are rejuvenated.